Whether you liked Nioh or hated it, I must truly commend Team Ninja for their spectacular job on handling this demo. This is the kind of demo that I wish every game was able to sport before release. 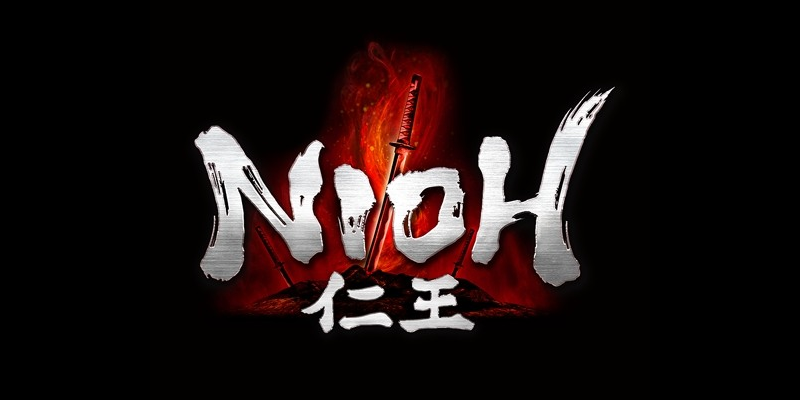 But first, let’s take a quick history lesson regarding this Nioh. Nioh has been through development hell and back. Originally announced way back in 2004, it started as a title based off of Oni, an unfinished script written by the legendary Akira Kurosawa. With a release date penned for 2006, it’s safe to say they missed the mark. It fell into development darkness and wasn’t mentioned again for another 3 years. It has popped up occasionally throughout the years, but it wasn’t until 2015’s TGS that we were able to catch a glimpse of what the game would come to be (an Edo period Dark Souls, essentially). With being away for so long, hype levels rising and falling over the course of 12 long years, you need something to show for all of your work. Enter, the Nioh Alpha Demo. This is easily one of the most robust and full demos that I’ve ever had the opportunity to play. Many times you’ll receive a demo for a game that restricts you to a single level, or drastically cuts what will eventually become available. Demos these days aren’t demoing a game, they’re merely teasing to raise hype levels and interest. What Team Ninja has done is release a demo so complete, that it not only increases awareness for the game, but it reassures the gamers who have waited patiently for this title that lots of work has gone into the game and they’re not being forgotten. Although the demo lacks any clear story (unsure if that’s on purpose because it’s still an early model, or if it’s following the convoluted and oft ignored Dark Souls plot), the gameplay is well refined. Throughout the first mission you make your way from one shore, through an island’s forest, a lord’s mansion, and then finally through a burning city on the other side of the hill. You experience mini-boss fights along the way, gathering key items to open paths. You pick up countless types of armour and weapons, many with unique models and stats. As you level up you are able to spend points earned on skills and abilities. Everything you’d expect from the first level from a full game. At this point, I’m impressed with the demo, and blown away by how much detail it has. After defeating the final boss, the demo reveals that I’ve unlocked the Mark of the Conqueror DLC. A special reward for those that have made it through the demo; content for when the final game releases. This idea right here is amazing, and something that I wish I could see more of in demos. Not only is it an incentive to go out and try the demo (and eventually invest in the game), but as the consumer and player, I feel that my time with the demo is augmented into the full game. I didn’t just spend a few hours playing a game only to have none of my progress count towards anything when the final game comes out. I spent some time and had it count towards something. The true icing on the cake however, is that after completing the mission (which took me quite a while actually), defeating the boss, and getting the DLC reward, I’m presented with another mission. ANOTHER MISSION! This time with new enemies, new weapons, new environment. I’ve spent less time playing full games, and here’s this demo, with numerous assets, stages, and quite a few hours of gameplay, all for free. All as a way to entice players to experience Nioh, and to buy it when it eventually releases. So again, whether you liked Nioh or hated it, you can’t deny that this is not only a true demonstration of a game, but that it’s one of the best executions of one that we’ve seen in a long time. Also, if you want to see a more in depth impression for the game, check out Aikage’s write up on his playthrough and feelings towards Nioh.